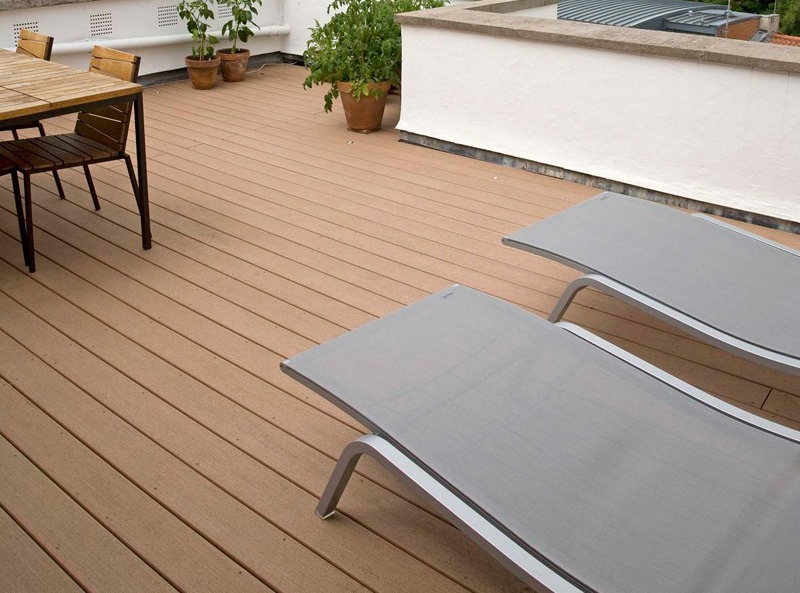 If you’re looking for a stylish, warm-looking deck board that will look fabulous for years with practically zero upkeep, we think you’ll love our VertiGrain 2 Cedar composite decking. This stylish cedar-effect option is every bit as contemporary as a cool grey design, but with the added warmth of a natural cedar wood hue. Combine your cedar boards with a RadianceRail or glass balustrade system to really make an impact. 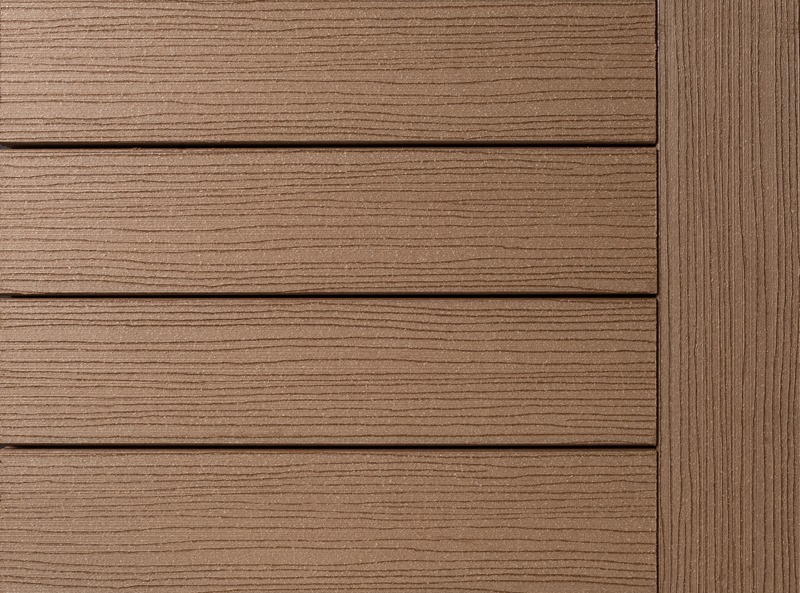 VertiGrain 2 Cedar decking has a textured surface that looks just like real wood, with none of the fake V-patterning that one often sees in composite wood products. 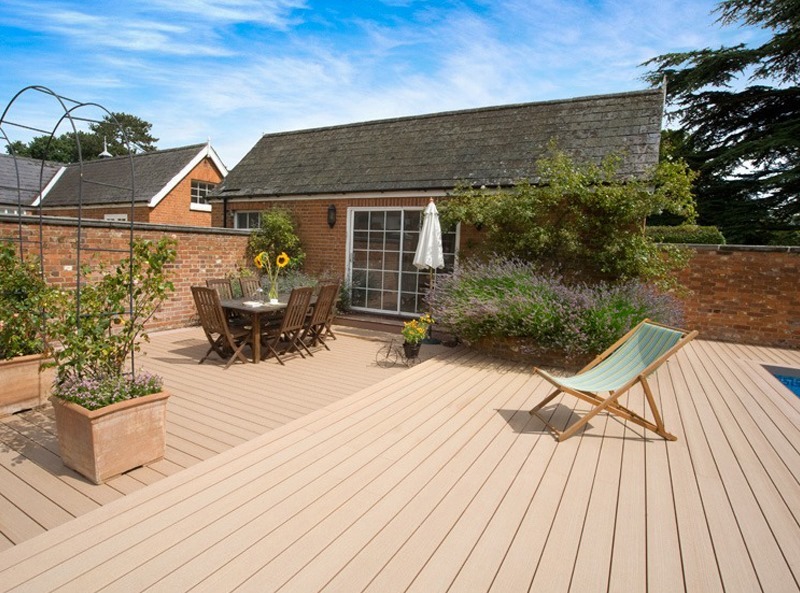 Of course, the biggest benefit of TimberTech’s VertiGrain 2 Cedar composite decking is its durability – the boards will never split, splinter or crack, and you won’t have to spend your Saturdays staining and oiling them to keep them looking good as you would with standard cedar decking! 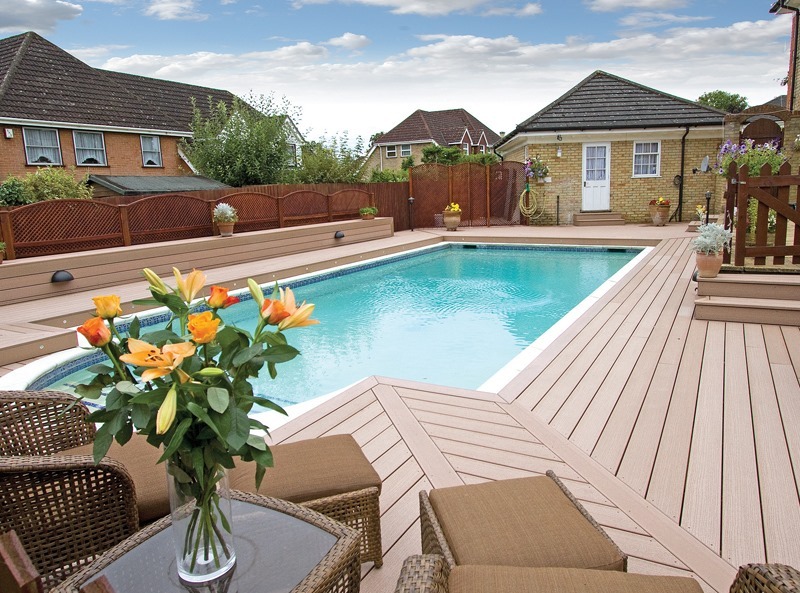 If you’d like to take a closer look at our cedar composite decking before you make any purchasing decisions, please bear in mind that you can order a free, no-obligation sample pack containing two decking samples and a copy of the TimberTech UK brochure to see if our Vertigrain 2 Cedar decking is for you. Any questions? 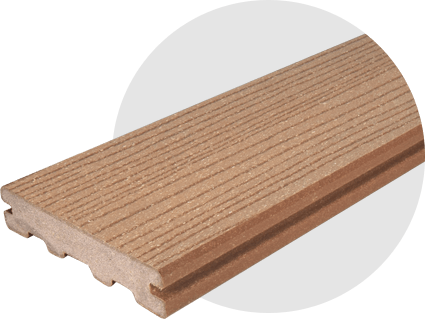 Call us on 029 2080 3756 to find out more about VertiGrain 2 Cedar composite decking, or to request a quotation for your new deck.